We are looking for experienced (published) professional travel writers and journalists, published travel book authors, and successful professional travel bloggers to give back to your community. 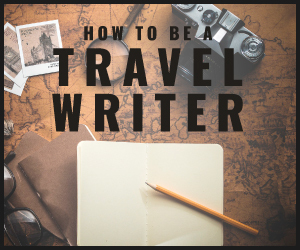 Do you have advice to share on how to get published, how to make a living at writing, or how to develop your brand as a professional travel writer? If so, we invite you to submit original articles, of an educational or advisory nature, that would be helpful to other Travel Writers (or writers in general) in establishing or furthering their career. Guest Authors receive a link back to their own website at the end of each article chosen for publication on Travel Writers Exchange. In addition each Author has an individual Author Page that displays all posts by that author and includes a photo, brief Bio, and links to the Author’s website, Facebook Page, Twitter Name, and other Social Media networks he or she belong to. 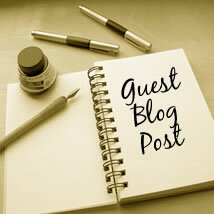 We’ve recently added an Author’s Twitter Stream and plan to add an Author’s RSS Feed as well. If you are a ghost writer, commercial blogger, someone who writes on a wide variety of topics (instead of just focusing on travel), or work for an SEO or Marketing company, please go elsewhere to get published. First and foremost, please understand we are NOT a site about Travel, we are a site about WRITING about travel. Inspirational stories on how YOU achieved success as a travel writer, blogger, or journalist. We’re also open to other topic suggestions if you have ideas for articles that you feel would be of interest and value to other travel writers. We do NOT promote any travel services, travel products, or travel suppliers. If you have a product or service to promote, please read THIS PAGE. We do not publish articles with travel tips geared toward the general traveling public, those who are not writers. We do not publish Infographics, period. If you submit a pitch for a story that is about a destination, travel service or seller, or commercial travel product, it will be declined. In fact it’s likely you won’t even get a response. Due to the high volume of pitches we receive, we can only review and respond to those who adhere to our instructions. A query from someone who clearly failed to read and follow these guidelines is generally simply deleted. Please use this form to contact us and to tell us a little bit about yourself, including where you’ve been published, a link to your website, and any ideas you have for an article topic. Please do NOT submit an article, instead please submit just your idea for an article, so we can be sure it will be a good fit for this site. A little bit about you - what you write about, and be sure to link to your own website/blog along with any outlet(s) you write for. 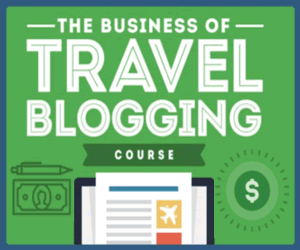 Why this would be useful to other travel writers/bloggers (unless it's self-explanatory from the title/topic). Please answer the following question to prove you're not a spambot - thanks!